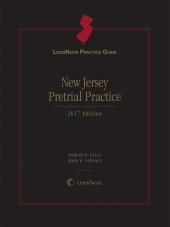 The one-volume LexisNexis Practice Guide: New Jersey Pretrial Practice eBook provides direct, New Jersey-specific answers to questions that arise in day-to-day pretrial practice. 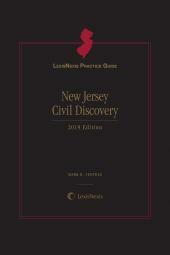 It covers important topics related to pretrial practice, including class actions and mass torts, dismissal for lack of prosecution, default and default judgment, sanctions, summary judgments, interlocutory appeals, arbitration, mediation, offer of judgment, pretrial conferences and information exchange, motions in limine, and settlements. Co-authored by Robert B. Hille, Esq. 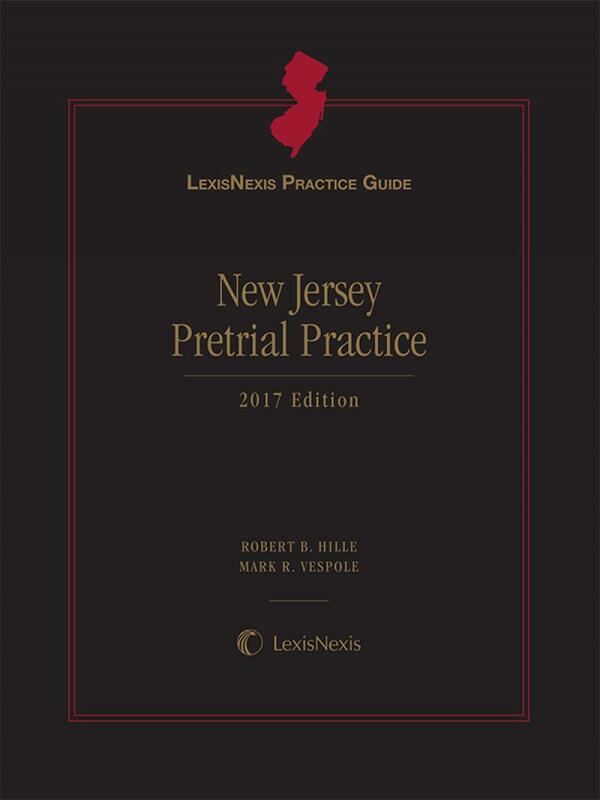 and Mark R. Vespole, Esq., and written for both dedicated trial lawyers as well as occasional civil practitioners, LexisNexis Practice Guide: New Jersey Pretrial Practice eBook provides quick, direct, New Jersey-specific answers to questions that arise in day-to-day practice. Topically organized, the LexisNexis Practice Guide: New Jersey Pretrial Practice eBook covers a broad range of civil practice issues and takes a task-oriented approach to each subject via action-oriented section headings (e.g., "Seeking Relief for Adversary's Failure to Comply with Discovery Obligations" and "Submitting Objections to Admission into Evidence of Exhibits or Readings Identified in Pretrial Information Exchange") and multiple checklists for each chapter that guide the user through each step of a task. It covers important topics related to pretrial practice, including class actions and mass torts, dismissal for lack of prosecution, default and default judgment, sanctions, summary judgments, interlocutory appeals, arbitration, mediation, offer of judgment, pretrial conferences and information exchange, and motions in limine. It includes more than 150 practice tips (Warning, Strategic Point, Exception, Timing) to ensure best practices and to help the attorney avoid potential practice pitfalls. Robert B. Hille Robert B. Hille is a Partner in the law firm of McElroy, Deutsch, Mulvaney & Carpenter, LLP, Morristown, New Jersey. Concentrating on Insurance and Healthcare Law, Mr. Hille has extensive trial experience and has litigated a number of insurance coverage, healthcare, professional liability defense, dispute resolution, fraud and abuse, and regulatory matters. 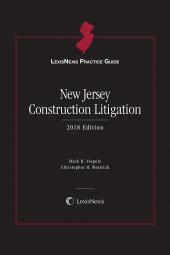 In addition to authoring LexisNexis Practice Guide: New Jersey Pleadings, Mr. Hille is the co-author, along with Mark R. Vespole, of LexisNexis Practice Guide: New Jersey Pretrial Practice and LexisNexis Practice Guide: New Jersey Insurance Litigation. Mr. Hille has lectured widely in the areas of Insurance and Healthcare Law. He has also published articles covering such topics as Duty to Non-Clients: Banco Popular Raises ``Double Exposure'', New Jersey Law Journal (January 2003); The Coming Storm (The Changing Nature of Risk), Journal of Reinsurance Intermediaries and Underwriters (June 2003); GATS' Threat to the Legal Profession is Worth a Serious Look, New Jersey Law Journal (Summer 2003); Professional Liability Insurance: What’s Changed and Why?, New Jersey Law Journal (January 2004); The HIPAA Minefield: Navigating Med-Mal Discovery Requests, New Jersey Law Journal (May 2004); State, Insurers Step Up Fight Against Insurance Fraud, New Jersey Law Journal (December 2005); and Health Care Law, Lowered Burden for Fraud Claims, New Jersey Law Journal (July 2006). Mr. Hille has also participated as counsel in a number of published decisions, including: State v. Clark, 162 N.J. 201 (N.J. 2000); Christie v. Jeney, 167 N.J. 509 (N.J. 2001); Liberty Mut. Ins. Co. v. Land, 186 N.J. 163, 892 A.2d 1240 (2006); and Mansour v. Leviton Mfg. Co., Inc, 382 N.J. Super.  594, 890 A.2d 336 (App. Div. 2006). Mr. Hille is a graduate of Bucknell University and received his law degree from Seton Hall University. He is certified by the Supreme Court of New Jersey as a civil trial attorney and is a past President of the Bergen County Bar Association. A past president of the New Jersey State Bar Association, Mr. Hille is a member of the amicus, insurance benefits, and malpractice insurance committees and also a member of the health and hospital law section. He also serves as member of the New Jersey Supreme Court Civil Practice Committee. Mr. Hille is admitted to the New Jersey and New York Bars and the United States Courts of Appeals for the Third Circuit and the United States Supreme Court. Mark R. Vespole Mark R. Vespole is a partner in the Florham Park, New Jersey office of Wilson Elser Moskowitz Edelman & Dicker, LLP, a national law firm. The author has successfully prosecuted and defended claims of construction defect and professional liability in a variety of construction defect and structure cases in state and federal courts, and before arbitration panels throughout the country. Mr. Vespole's practice also includes insurance coverage litigation arising out of first-party and third-party property and casualty, life and health, professional liability, employment practices, and directors' and officers' liability policies, as well as corporate raiding, securities arbitrations and compliance matters for broker-dealers and registered representatives.